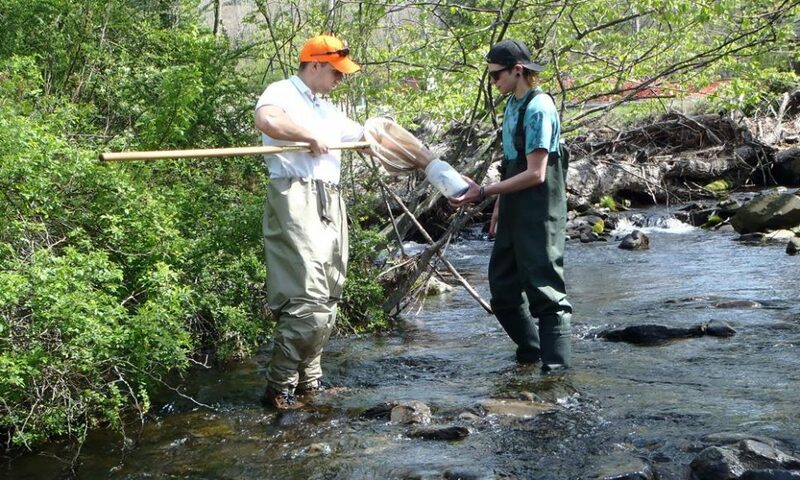 Home > Latest News > News > What does a Conservation District Do? Hopefully you have heard of a conservation district and Pike County Conservation District (PCCD) before, but do you really know what a Conservation District is or what PCCD does? Conservation Districts began during the historic Dust Bowl era (1930’s). Farmers were losing topsoil from their farms and asking for help from the government to develop ways to farm the land without losing soil. From this request a movement grew to establish local conservation districts across the country. In 1945, Pennsylvania’s first Conservation District was formed in Potter County. Currently every county in PA (with the exception of Philadelphia) has a County Conservation District. The Pike County Board of Commissioners established the Pike County Conservation District in 1956 to help conserve the land, water, and natural resources of Pike County. Today, PCCD is overseen by a Board of Directors and has a staff of eight trained professionals. The staff and Board of Directors work together with other partners to complete projects and programs which are geared toward conservation of water and soil resources within Pike County. Within Pennsylvania, Pike County is somewhat unique. Other counties face pollution issues from historic resource extraction, industry development, or poor farming, or other similar issues. For Pike County residents our area has been spared many of these pollution sources. The rivers and streams of Pike County support native fish populations, and the forests support a rich diversity of wildlife. Pike County Conservation District’s mission (PCCD) includes a commitment to natural resources conservation through leadership, education, technical assistance, planning and enforcement to ensure the long term protection and sustainable use of Pike County’s natural resources and implementation of environmentally sound development and land use practices. In short, this mission states PCCD will help to protect and conserve Pike County’s natural resources. At the heart of every PCCD initiative is long-term sustainability so the wonderful resources of Pike County will be here for generations to come. Conservation District programs help to bring about the District’s mission; some of the programs include: Dirt, Gravel, and Low Volume Road Environmental Maintenance Program, Conservation Education, Watershed Protection, Erosion and Sediment Control and Waterways Management.